This was the 101st Anniversary of the founding of The Rotary Foundation and the 51st year that the Rotary Foundation has been in Canada. Our Rotary Foundation is dedicated to changing lives here at home and around the world. The Rotary Foundation transforms your gifts into service projects that change lives both close to home and around the world. During the past 100 years, the Foundation has spent $3 billion on life-changing, sustainable projects. With your help, we can make lives better in your community and around the world. 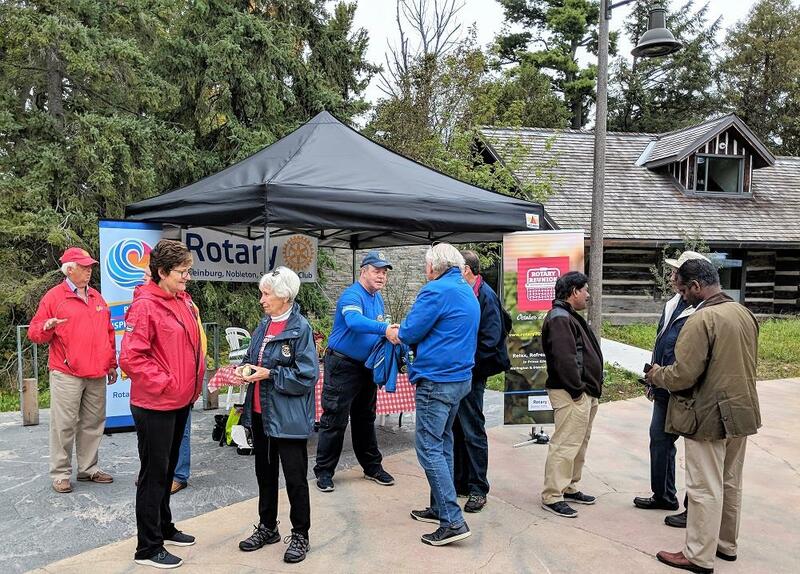 All 35,000 Rotary Clubs carry out sustainable service projects that support Rotary's key objectives, including eradicating polio from the face of the earth. The donations that flow to the Rotary Foundation each year help train future peacemakers, support clean water and strengthen local economies. 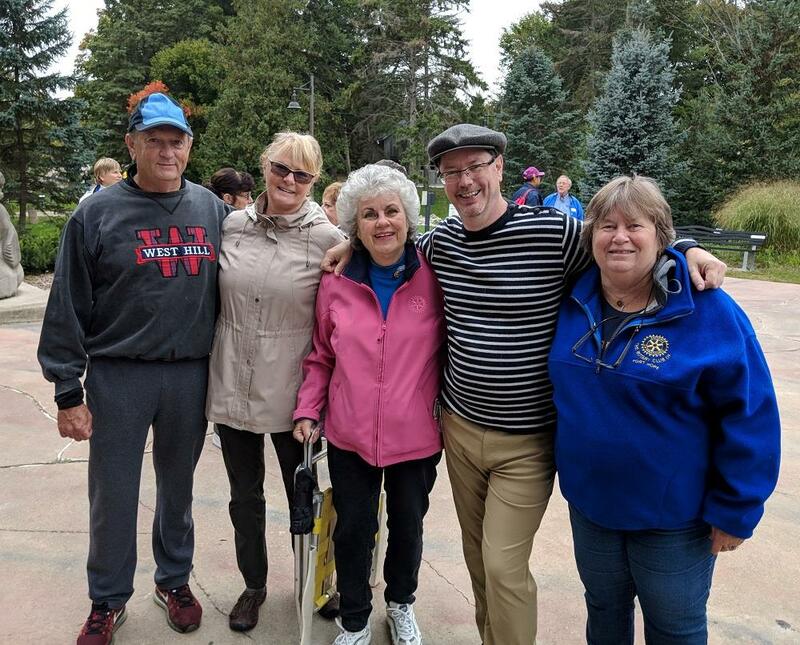 Rotarians with friends and family participated in the annual District 7070 walk in support of the Rotary Foundation. They enjoyed a leisurely afternoon as at the renowned McMichael Art Gallery. The McMichael Gallery was the perfect gallery for our Rotarians' proper introduction to Canada’s art, its people, their cultures, and history. The McMichael Gallery’s permanent collection consists of nearly 6,000 pieces of art created by Tom Thomson, the Group of Seven, their contemporaries, and First Nations, Métis, Inuit and other artists who have contributed to the development of Canadian art. Choose inside and/or out. 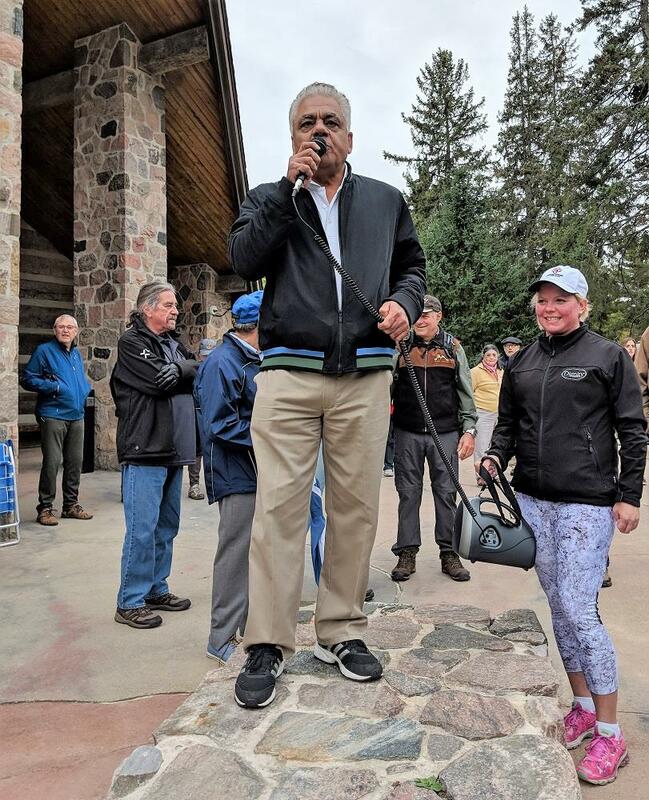 Explore the Sculpture Garden, a series of installations and outdoor sculptures, the Tom Thomson shack, as well as McMichael Cemetery where six Group of Seven members as gallery founders Robert and Signe McMichael have been laid to rest. 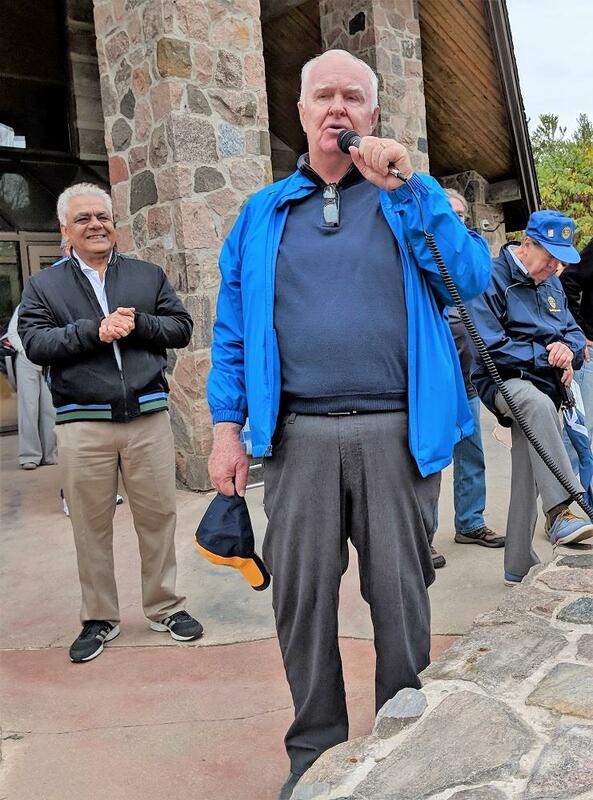 Past President of the Richmond Hill Rotary Club and Chair of the 2018 Rotary Foundation committee, Nash Azam, welcomed everyone to the walk, and thanked all of the Rotary Clubs for being such gracious hosts. 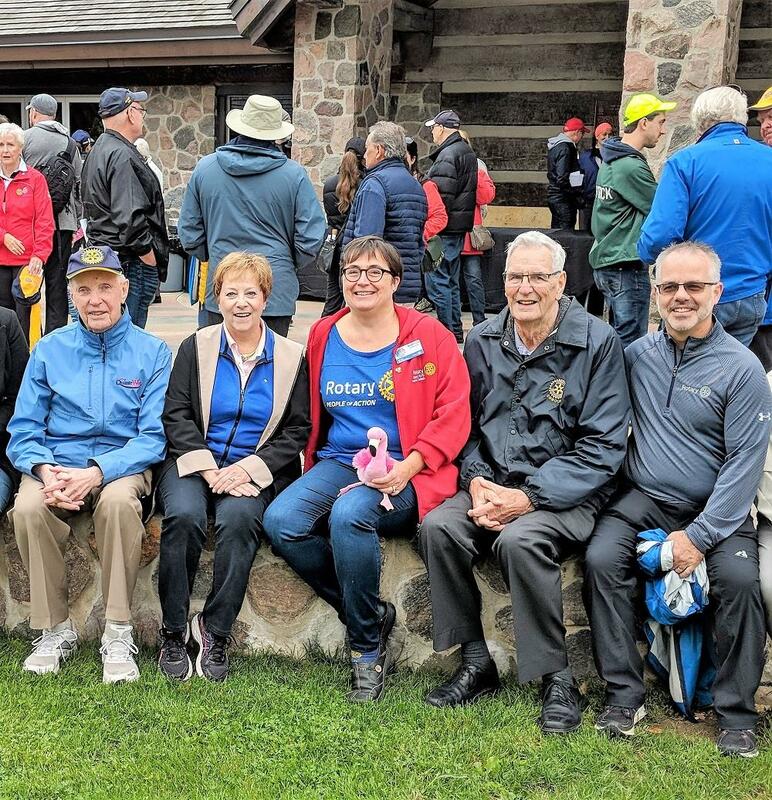 Annual Programs Fund Chair of the Rotary Foundation for District 7070, Past District Governor Ted Morrison, thanked everyone who made their donations and encouraged the club presidents to get their goals into Rotary Club Central. 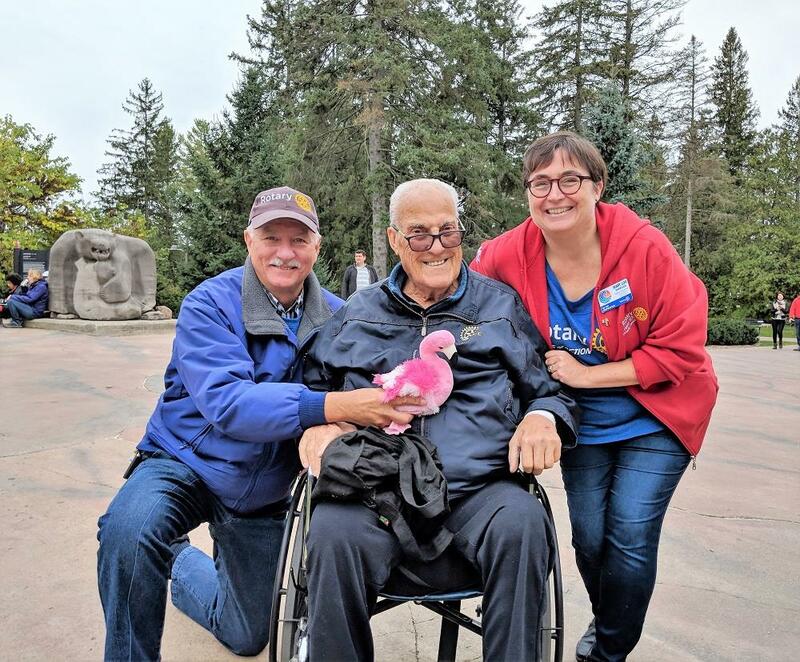 He added that the money raised at the Rotary Foundation Walk this year, goes into the Annual Program Funds, where it remains for three years, and then our District gets half-back to be used for Foundation Grants and District Designated Funds. 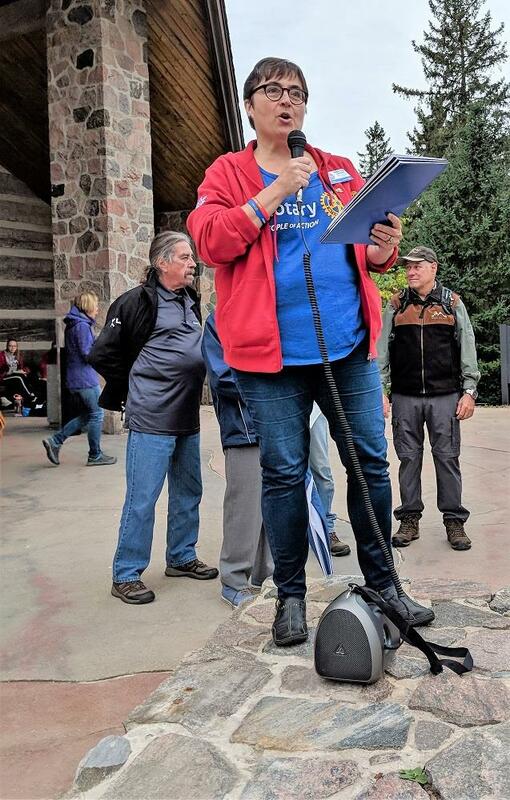 District Governor Mary Lou Harrison, also thanked Nash and the 2018 Committee, the 8 Rotary Clubs and the Rotary Youth Exchange students and Rotaractors for the great turnout and thanked Rotarians for their generous donations to the Rotary Foundation. Mary Lou added that the goal of Rotary International for donations for the 2017-18 Rotary Year was $360 million US. Rotarians donated $414 million US. She encouraged all Rotarians in District 7070 to donate to the Rotary Foundation and encouraged everyone to make it as easy as possible by going to Rotary Direct to do so. She also announced three awards that our District received at the recent Rotary Zone Conference in Montreal. She gave out, to Past District Governor Neil Phillips, the three awards from Rotary Zone 24 and 32 , for the efforts achieved by all of the Rotarians in District 7070 for their contributions in 2017-18. Our District 7070 has always been very prominent in our givings year after year and 2017-18 was no exception. We came in second in the following categories: the second largest amount given to PolioPlus ($225,731); the second largest amount given to PolioPlus from our District Designated Funds, and the second largest amount give to PolioPlus per capita ($113.38 per Rotarian). Thank you everyone. We were only beat out because a generous donor in Calgary gave $1 million to PolioPlus. 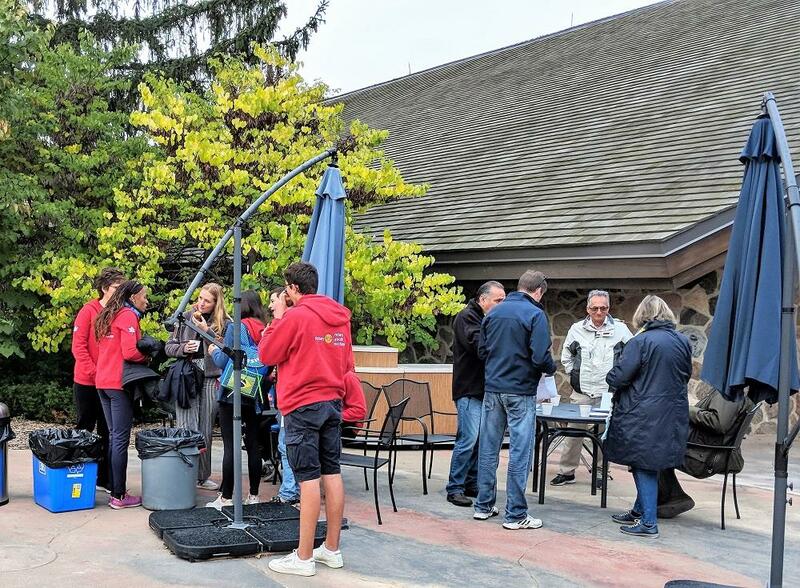 Again, this year, over $100,000 was raised for The Rotary Foundation Annual Programs Fund. Rotarians really are People of Action ! 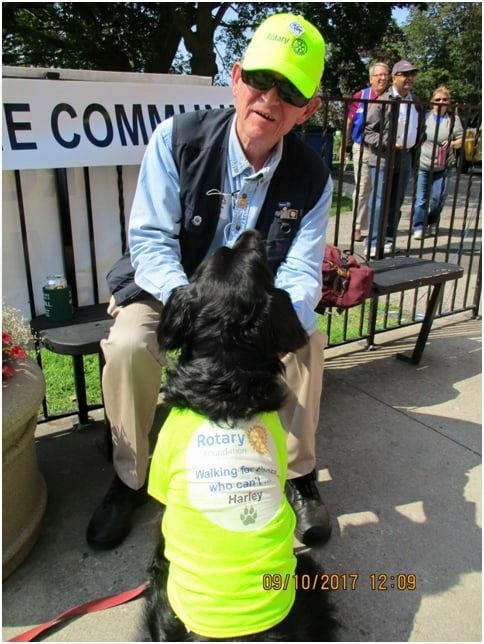 Rotarian (Scarborough) Gérard Baribeau sent me this note.... Again this year, his dog Harley raised a few more thousands of dollars for Rotary Foundation and walked 'for those who can't!